How you cook your fish makes a big difference to your heart. Bake it or grill it instead of frying to cut down on artery-clogging saturated fat. Bake delicate cod, spiced tilapia, or lemony grouper. Throw a firm fish on the grill: snapper, sea bass, or halibut. 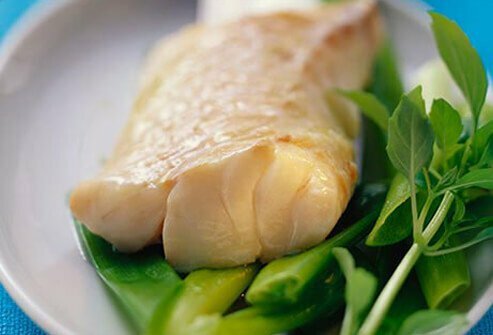 Compared with fried fish, you'll save about 70 calories and half the saturated fat per serving. 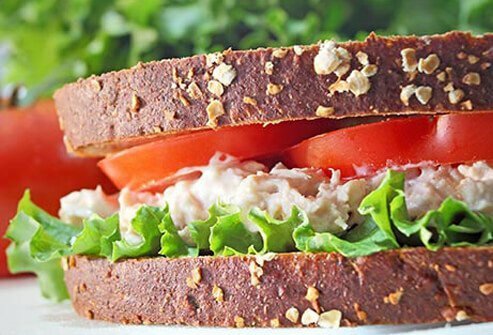 Replace all or some fatty mayo with nonfat Greek yogurt in your tuna or chicken salad, says dietitian and chef Katie Cavuto Boyle. Or spread one tablespoon of this thick, tangy yogurt on a lean turkey sandwich piled high with veggies. You'll swap out fat calories -- and take in a little extra protein and calcium. Whip up muffins, quick breads, pancakes, cookies, and even chocolate cake with flaxseeds instead of eggs. To substitute for one large egg, stir 3 tablespoons of ground flaxseeds plus 1/8 teaspoon of baking powder in 3 tablespoons of water. You'll add fiber and avoid the cholesterol found in egg yolk. Both changes can help in keeping your cholesterol levels under control. 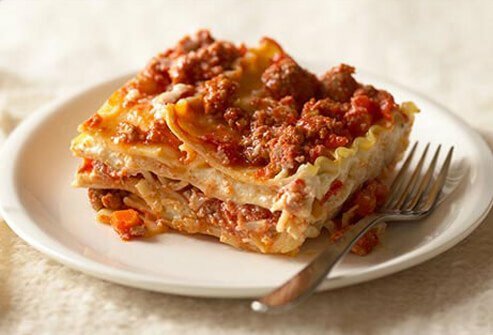 Lasagna and other cheesy bakes often call for ricotta -- and your nana's recipe probably calls for the full-fat kind! Switch to low fat and you'll cut out 9 grams of saturated fat per serving. That's a big help when you're trying to stay under 16-grams per day for heart health. Ricotta or cottage cheese is OK, as long as it's reduced fat. Low-fat ground turkey breast is a heart-wise switch for fatty ground beef. Fruit has it all -- lots of fiber, not many calories, and it's good for your weight and blood pressure. Go natural, though -- skip fruit that's canned in syrup. 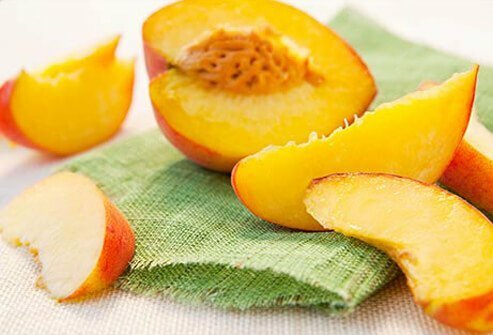 Even a cup of peaches in "light" syrup has 33 grams of sugar. That's like having a bowl full of fresh, juicy peach slices with a mini candy bar on the side. Cream Cheese? Whip It Good! 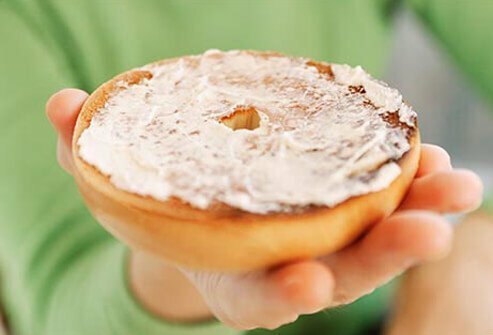 Cream cheese can still grace your morning whole-wheat bagel. Reach for the whipped type in the dairy case. You can save about half the calories and saturated fat. Compare: One popular brand has 100 calories in two tablespoons. The saturated fat hits 6 grams -- that's a third of your daily limit before lunchtime! The whipped version has half the saturated fat and 60 calories. Orange juice and breakfast just seem to go together. But if you want a citrus kick, you're better off getting it from an actual orange. A cup of orange juice fills your glass with about 21 grams of sugar and almost no fiber. 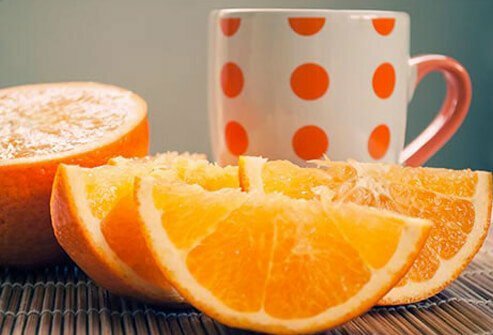 A large orange has a little less sugar -- about 17 grams -- but more than six times the heart-healthy fiber. Shop smart at the grocery store. 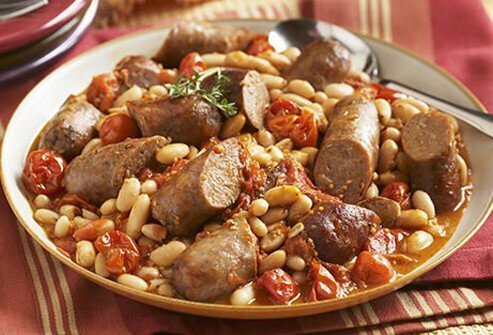 Low-fat turkey sausage instead of pork or beef sausage will do your heart good. Simmer it with fiber-rich beans and veggies. At breakfast, three links of lean turkey sausage adds up to just 1.5 grams of saturated fat. A similar pork sausage has three times as much unhealthy saturated fat. Does ice cream top your list of comfort foods? 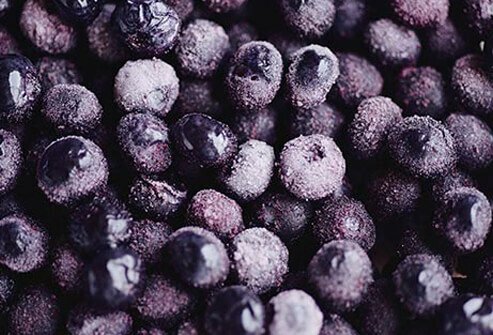 Cool off instead with ½ cup of juicy, frozen blueberries topped with a creamy dollop of nonfat yogurt. This sweet dessert has almost no saturated fat, compared with 14 grams in some premium ice creams studded with rich extras. You slash the calories and sugar, too -- a bonus if you're watching your weight. 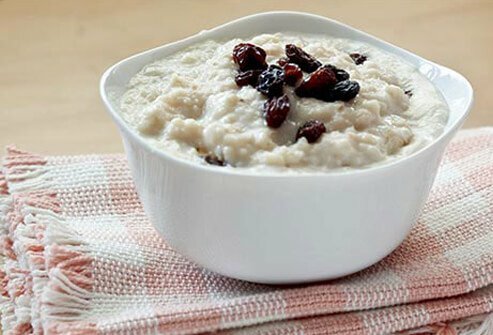 Oatmeal is a classic choice to help lower cholesterol, thanks to its soluble fiber. But a packet of instant raisin and spice oatmeal can be loaded with 15 grams (three teaspoons!) of sugar. Make oatmeal with real oats instead. 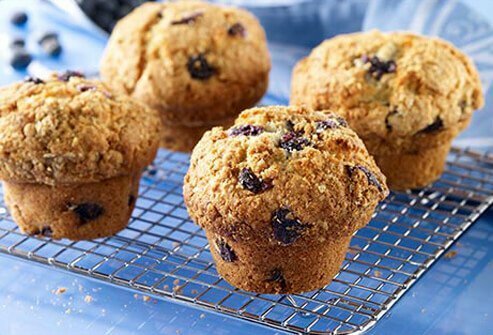 Add a sprinkle of raisins and a dash of cinnamon for only about 9 grams of sugar. It takes longer but it can make a big difference for your weight and your heart. Katie Cavuto Boyle, MS, RD. USDA: "Dietary Guidelines for Americans, 2010." Joachim, D. The Food Substitutions Bible, Robert Rose, 2005.